Another awesome evening celebrating the best of the best in Petersfield! Hometown Festivals brought back the Awards to Petersfield again for 2017 and were bigger and better than ever! A glittering evening of celebration with the winners of The Petersfield Awards 2017 finally being announced. Everybody who attended had the most amazing evening from start to finish. Even the unlucky shortlisted nominees still left with smiles on their faces after being entertained and dazzled for an evening celebrating their hometown of Petersfield. Thank you to all of you for supporting such an amazing event and we already have ideas on how to make it even better when we bring it back next year! Hometown Festivals would like to thank all the generous local businesses who have supported the event and made it possible for you to celebrate your hometown once again. Please click on the Award graphic of each category to visit the local sponsor. 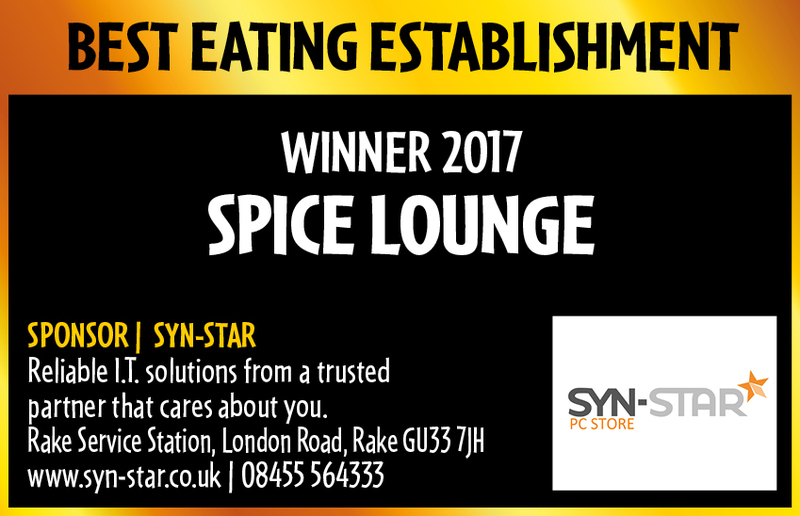 Don’t forget it’s Father’s Day on the 18th June 2017 so come to the Spice Lounge Petersfield and sample our exceptional food. – We’re open 7 days a week. 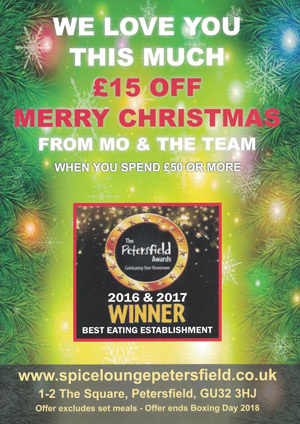 – Our food is exceptional. Please note: 20% only applies to food and not Alcohol. Don’t forget it’s Mother’s Day on the 26th March 2017 so come to the Spice Lounge Petersfield and sample our exceptional food. 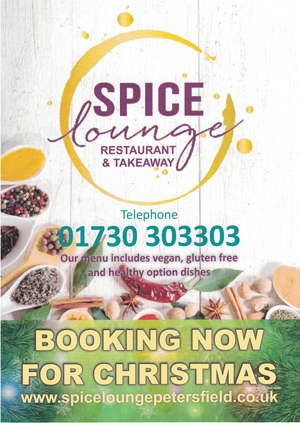 Spice Lounge Petersfield is running a 20% off all food from now until 23rd October 2016 so please feel free to come and sample our exceptional food.